This Republic Day was celebrated with children and parents in various ways by the ECC project team. 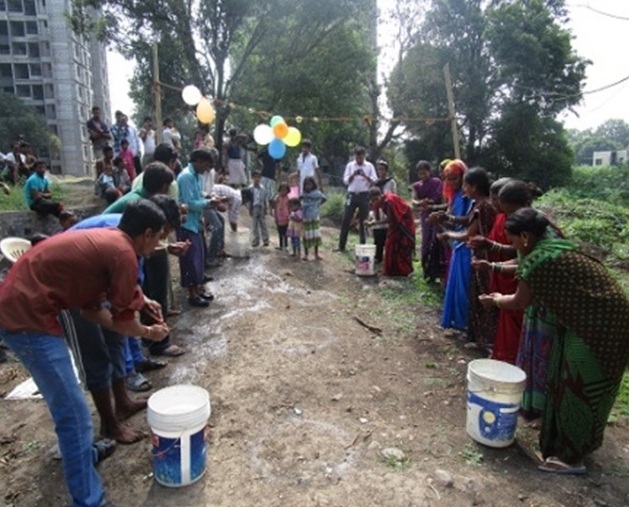 At few places, sports and drawing activities were conducted for children and fun games were organised for parents. Parents took part in the games and enjoyed a lot. They said that they had never played games or fun activities before. 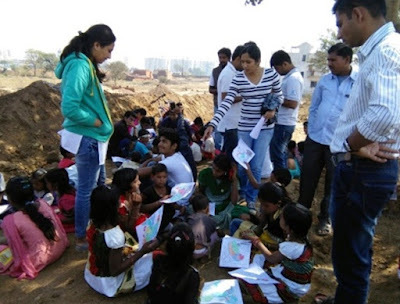 On some sites, story sessions were held for children and parents with the help of volunteers. 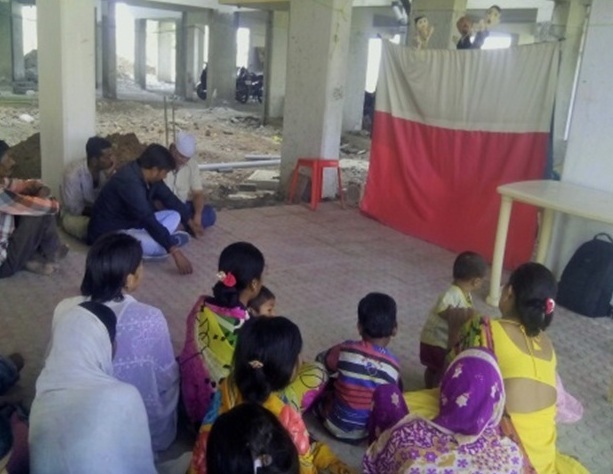 One of the volunteers conducted Puppet Show at Suvidha Nisarg construction site. 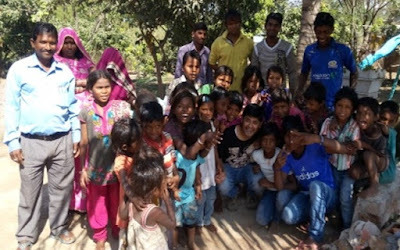 In Gaudara area, Magic show was organised for children and parents from Brick Kiln, Katkari slum (fisherman community), and temporary slum. After Magic show, the children played games. They were so thrilled that they didn’t want to go home. ECC Field Associates conducted the activities and talked to the parents at all the centers, with help of volunteers from corporate, colleges, and individuals. Kiran Arun Helam was enrolled in ZP school, Nasrapur in Std 4. He is from a temporary slum of Katkari (fisherman) community near Cheladi Phata. They are a scheduled tribe whose main occupation is fishing; and in rainy season they do odd jobs. Education is of no importance to them as their work does not require any education. They involve their young children in their work and as a result the children are also not interested in attending school. 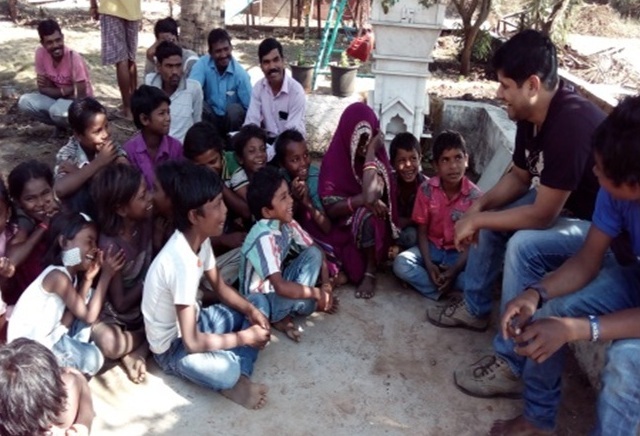 After a lot of persuasion, few children from this community were enrolled in school. Kiran was among them. He participated in the school’s Sports Day and stood First in 100m Race and High Jump. He then took part at the Block-level competition and again stood First. The next level of competition was at Taluka level which was held at Bhor. Once again, Kiran represented his school and stood First in 100m Race and High Jump! 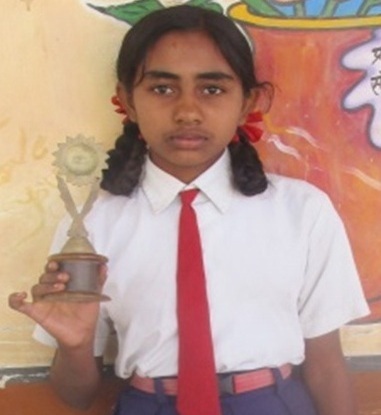 Three children at Taluka level brought fame to their school and Kiran was one of them. 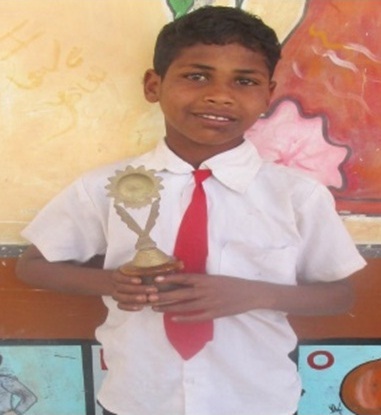 Ujwala Rajendra Gurav from Katkari slum, Cheladi Phata is a student of Std 4. Last year, the ECC team had enrolled her in Std 3. Unfortunately, the school is approximately 2km away from the slum. As it is, her parents are not very motivated to send her to school. Therefore, irregular attendance during last year resulted in the girl dropping out of school. This year, the ECC team again worked with the parents and with regular meeting and follow-up, Ujwala started going to school regularly and developed interest in studies. 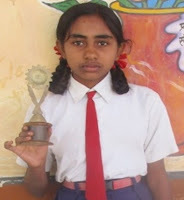 She took part in Sports Competition held in school and stood First in various competitions. First she participated at Block level competition in “Shot Put” and won the prize. 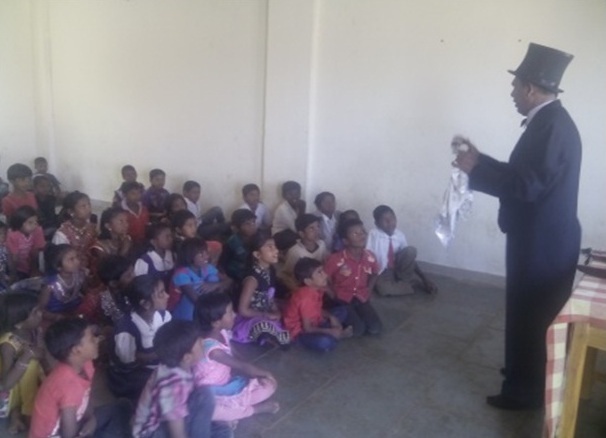 Later she participated at Taluka level, where about 40 schools took part. Once again Ujwala stood First in “Shot Put”. She was very happy and excited. She proudly showed the Medal to her parents. Her teachers and parents are very proud of her.